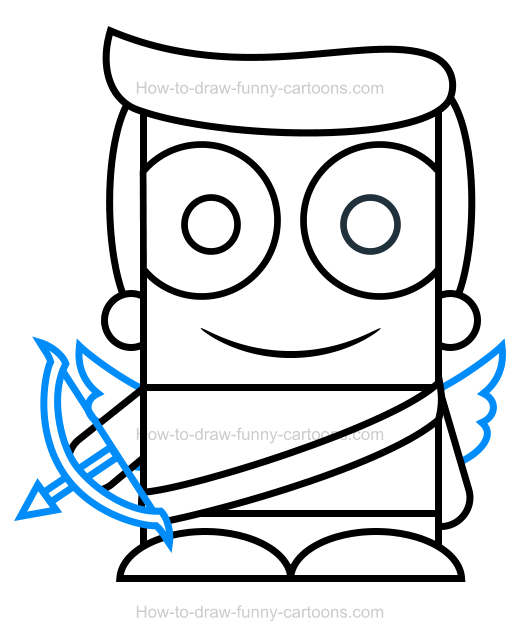 In this simple tutorial, I will show you how to illustrate a cupid clipart that is adorable and armed to create new couples! 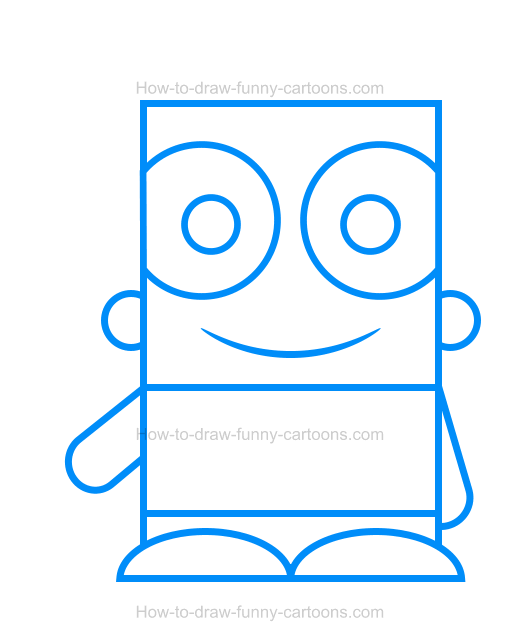 Indeed, this fun cartoon character can be drawn using only four steps as shown below. 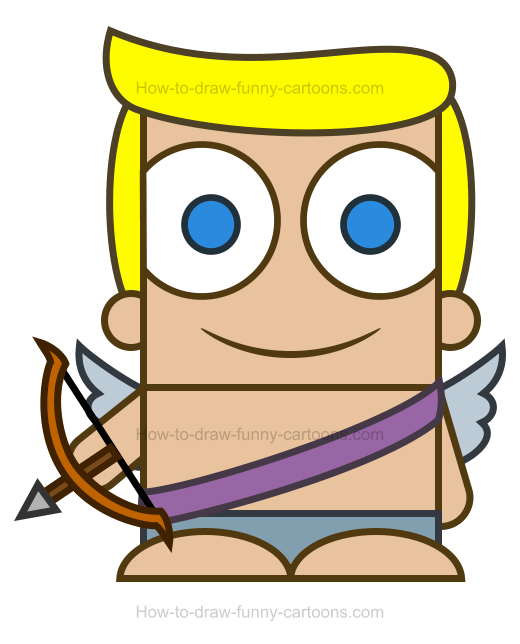 Holding a bow and an arrow, our little friend is looking for lonely hearts to bring together. Ready to create this illustration now? Great! Let's proceed with the first step now! Let's begin with the creation of the body and the head of cupid. Start by drawing a large square for the head, a small rectangle for the body and a smaller one for the legs. Then, you can draw the arms using more rectangles and the feet using circular shapes. Make sure the right arm is slightly raised as shown below. Next, draw two large circles to form the eyes. The pupils are made from smaller circles. A long line is added below the eyes to represent the mouth. Add two small circles for the ears. This character doesn't have any nose, so we can skip this part of the illustration. 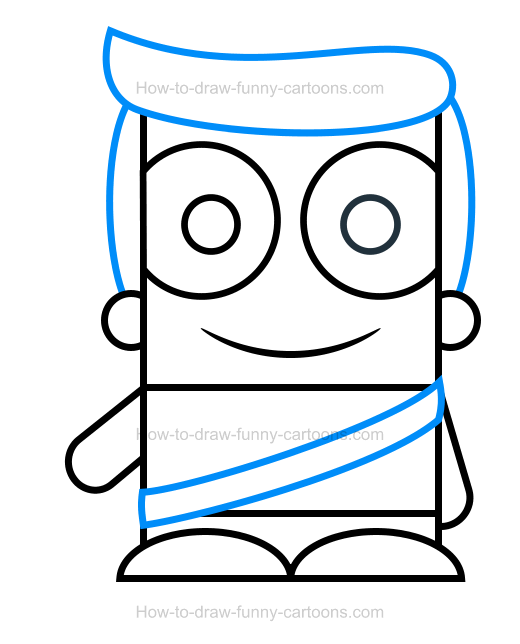 For this second step, you can add hair on top of the head using a bunch of curved lines. A long sash made from curved lines can also be sketched on the body of cupid. That's it for this simple step! The last step was easy, but this one is slightly more challenging. First, you can draw two wings on the back of the character. These wings are mostly made from small circles. Then, draw a bow and an arrow using small rectangles, lines and a triangle. Place this object inside the right hand as shown below. That's it for the drawing part of this lesson! We can now add colors to make this character even more fascinating. The hair can be yellow while the pupils are blue. The wings are also blue and the sash is purple. The bow and the arrow are mostly brown. Great work! 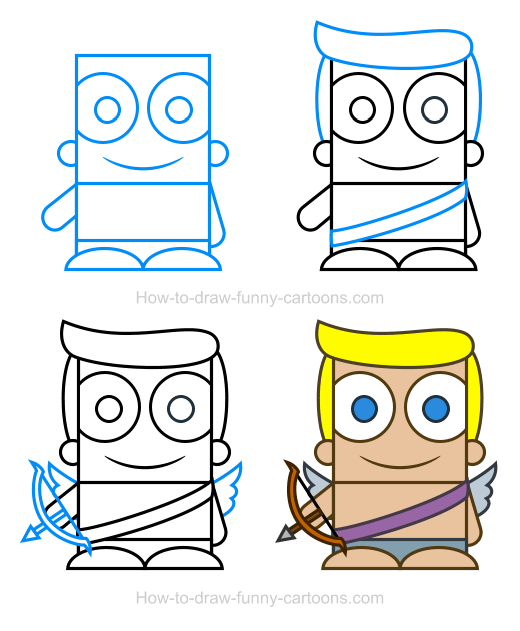 These are all four steps you need to achieved to illustrate this cupid clipart properly!